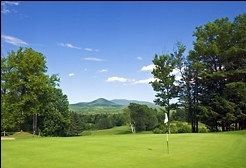 For starters, the resort is located along the shores of Lake Morey, surrounded by Vermont hills in a beautiful natural setting. It has a golf course, tennis courts and lake front swimming facilities that attendees can enjoy while taking a break from the workshop. Not only is Vermont a wonderful place to visit in the summer months, but Lake Morey is only ten miles north of the isee systems offices. We love being able to drop in on workshops that are close by or meet with customers over a beer after hours. It gives us an opportunity to learn more about the amazing work people are doing with our software and to get their ideas for future development. It also gives our customers a chance to get to know us and to put a face to someone they’ve been talking to over the phone or via email. We hope to see you this summer! If there’s someone on the isee staff that you’d like to meet with, be sure to let us know. Please give us a call at (603) 448-4990 or send an email to support@iseesystems.com to check on availability.